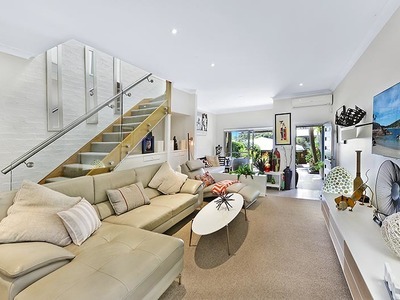 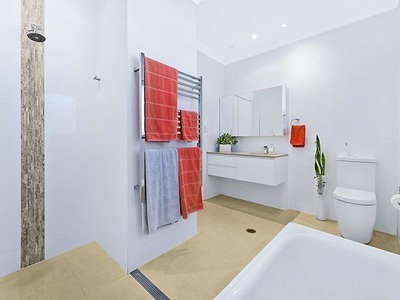 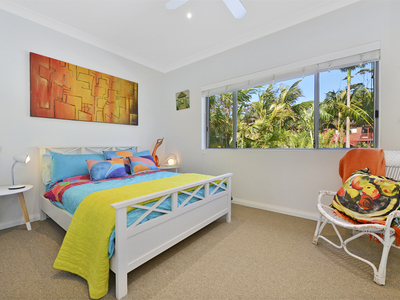 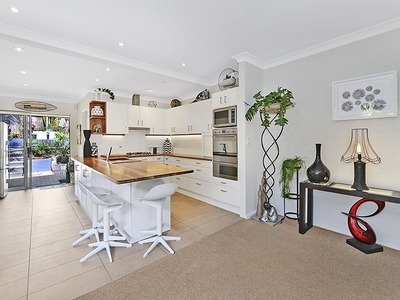 Tastefully renovated and perfect to move straight in and enjoy, this stylish townhouse presents a wonderful opportunity for downsizers and homebuyers seeking a secure, low-maintenance peninsula address. 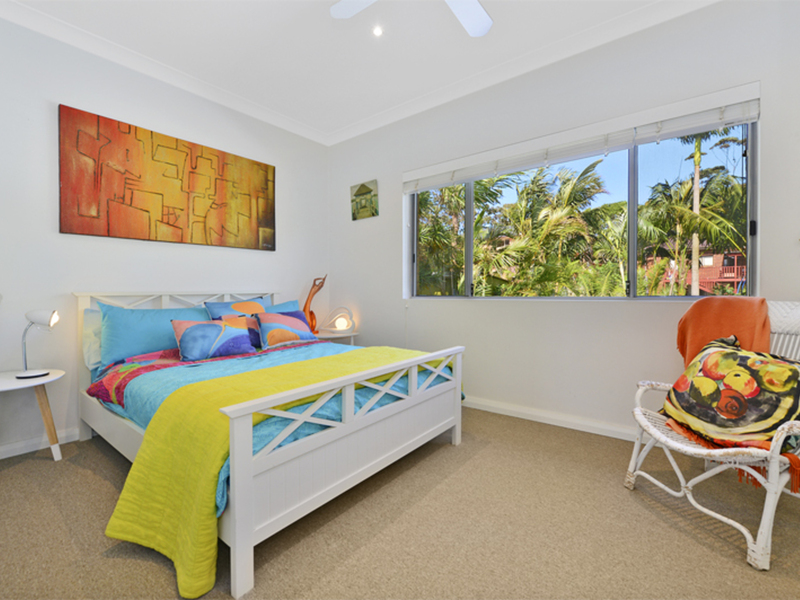 Accommodation consists of three bedrooms (study or babys room) with the option to create a fourth bedroom on the entry level. 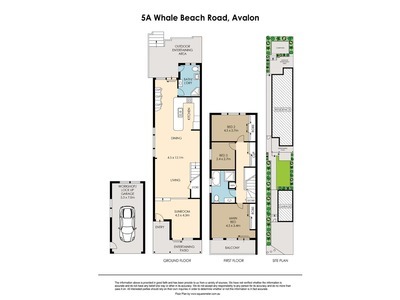 One of two adjoining Torrens titled residences, it’s ideal for those desiring an easy, convenient Northern Beaches lifestyle. 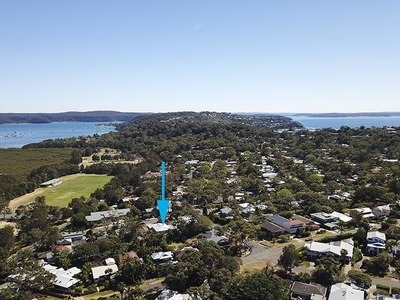 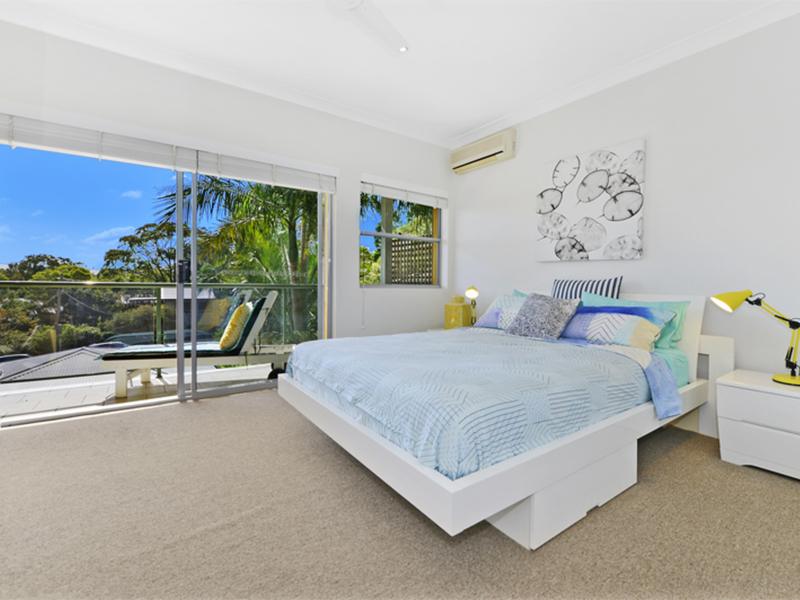 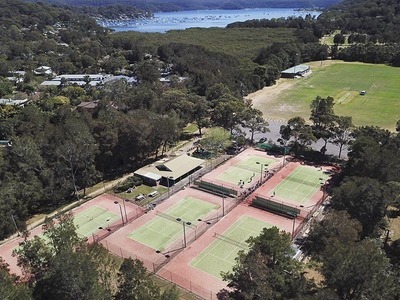 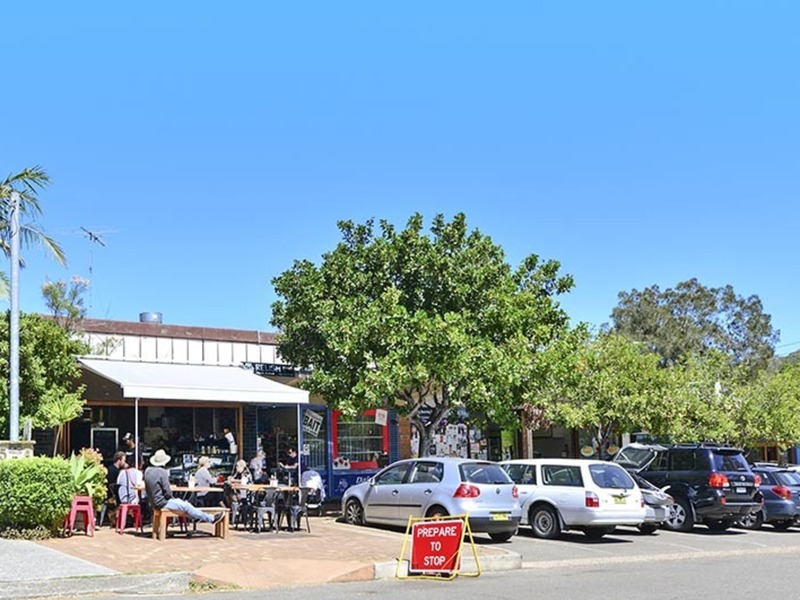 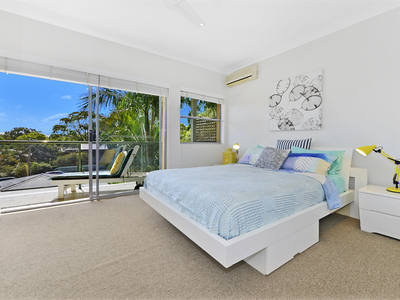 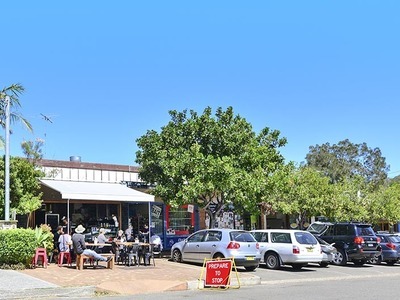 Conveniently located between ocean beaches and idyllic Pittwater, it’s just a brief walk to village shops and cafes, buses, parkland and local tennis courts. Capturing lovely leafy views from its upper level, it contains three bedrooms, the main with a balcony, and two contemporary bathrooms, one with heated towel rails and under-floor heating. 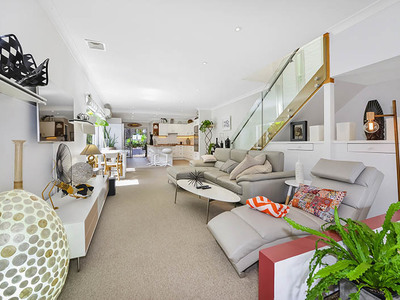 Adjoining a light-filled sunroom, the generous living and dining space encompasses a modern gas kitchen with soft-close Blum drawers, state of the art pyrolitic oven and a stunning hardwood timber benchtop. 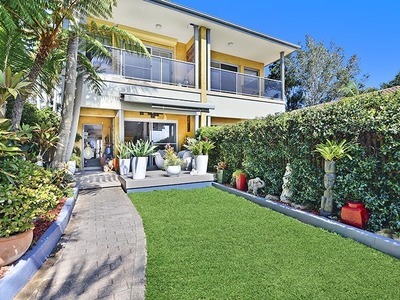 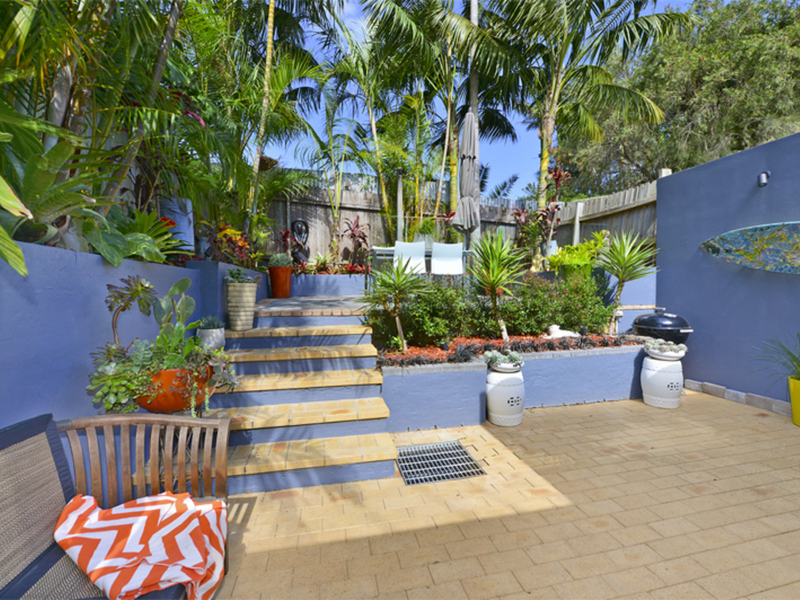 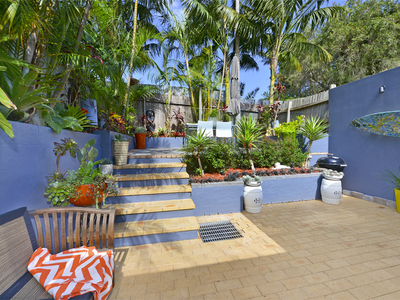 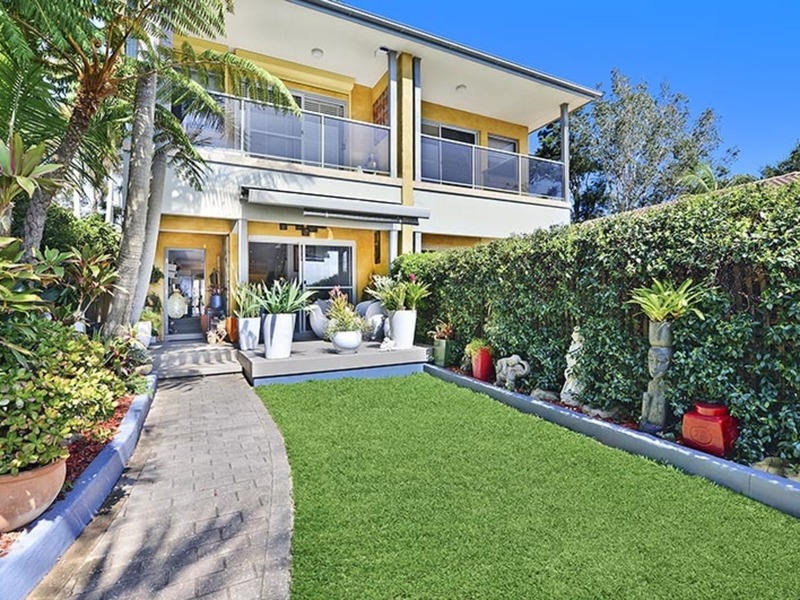 The home provides a fabulous environment for outdoor entertaining, framed by landscaped terraces and manicured gardens shaded by established palms. 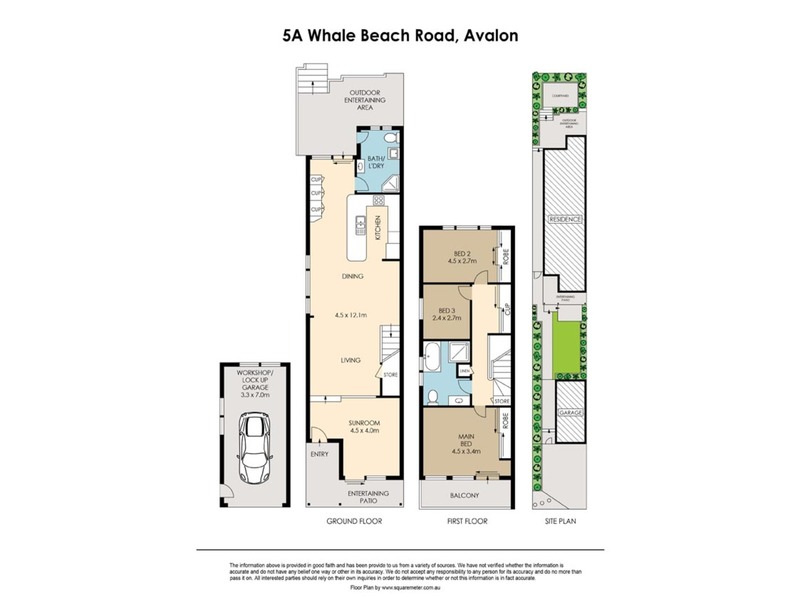 This rare offering features zoned a/c, ceiling fans, a large auto single garage with workshop space and an additional car space.